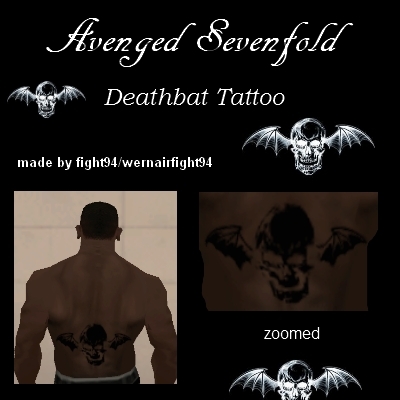 This mod contains: "A7X Deathbat Tattoo". 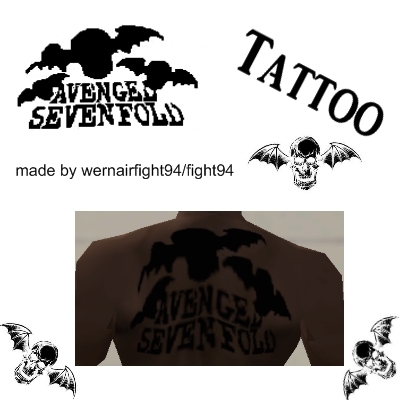 This mod contains: "Avenged Sevenfold Tattoo". 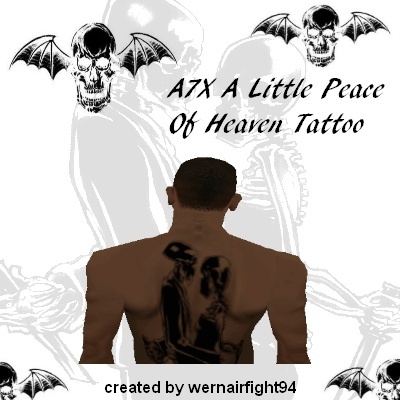 This mod contains: "A7X A Little Peace Of Heaven Tattoo". 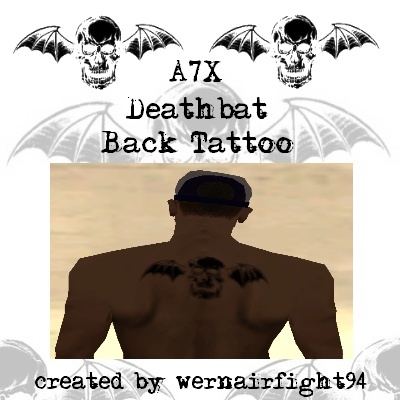 This mod contains: "A7X Deathbat Back Tattoo". 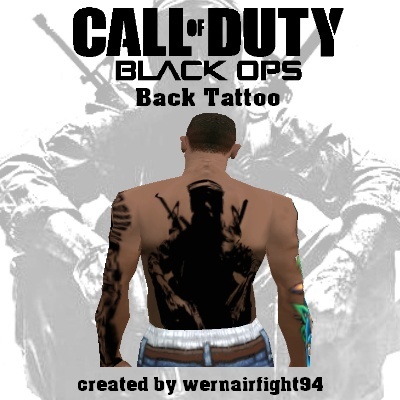 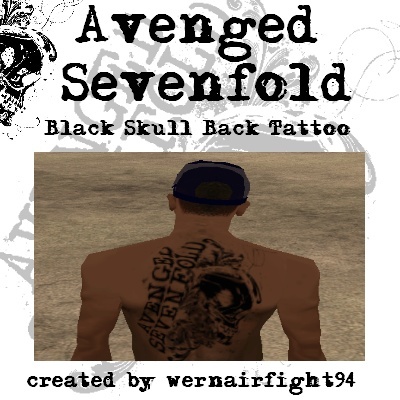 This mod contains: "A7X Black Skull Back Tattoo". 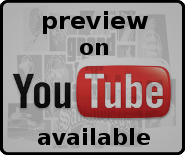 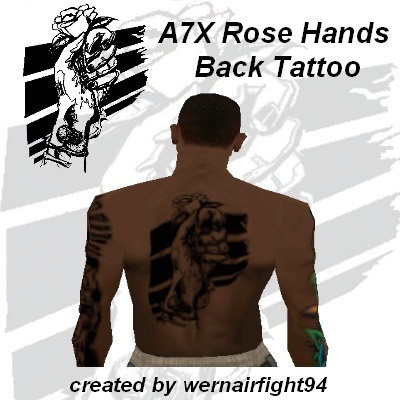 This mod contains: "A7X Rose Hands Back Tattoo".